What does this SVdP Conference do? This group is motivated by the words of its founder, Frederic Ozanam: "Assistance to the unfortunate honors when it treats the poor man with respect, not only as an equal, but as a superior---since he is suffering what perhaps we are incapable of suffering; since he is a messenger of God to us, sent to prove our justice and charity, and to save us by our works." By visiting, person-to-person, those who are needy/suffering, we try to share what we have been blessed with AND what you as a parish have entrusted us to distribute. The Society of St. Vincent de Paul invites you to attend our meetings, to learn how you are helping those in the most need in our community. 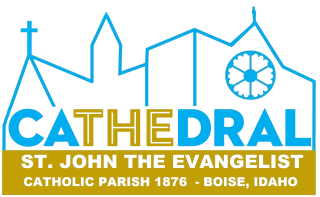 These meetings are held the second and fourth Wednesday of each month in the Parish Office Building, 707 N. 8th St at 6:00 p.m.
You will be astonished at the great need there is in our own Parish for the most basic necessities of life. Make this the year you make a difference in the life of someone who is waiting for you. Live your faith by serving the least amongst us as our Lord commanded. Please pray for us in our endeavors and support us with your donations of time, talent and treasure. May God bless you for the charity you show others. Please visit the SVdP national website.